Katie has been a Registered Massage Therapist since October 2008, practicing in Vaughan. She completed her Massage Therapy Diploma program at the Canadian College of Massage and Hydrotherapy in Toronto and graduated with honors. Katie provides Massage Therapy, Life Coaching and Intuitive Healing sessions for clients that are in need of deep relaxation, pain relief, direction and clarity. Her personal philosophy is that as humans we have physical, emotional and spiritual aspects of self and in order to have an effect on one, we need to be aware of the other two. With an understanding of human science and also a deep connection and respect for the spiritual self, Katie uses her knowledge of human anatomy and her own intuition and inner guidance in sensing what the body needs for healing to occur. Katie’s approach when it comes to Massage Therapy is to first and foremost assist the client to experience deep relaxation and reconnection to self. She facilitates this experience by grounding herself fully in the moment and placing her awareness and intention wholeheartedly on the client and their needs. From this space Katie provides a massage to renew the spirit, relieve stress and tension and encourage the body and mind to rest. Using a combination of Swedish massage, deep tissue massage and trigger point release Katie has great results relieving muscular pain, headaches, migraines and anxiety. Katie’s treatments can include essential oils, deep relaxation techniques and Reiki. She also loves to end each session with a head, scalp and face massage to further enhance her clients feeling of restoration. In her spare time, Katie is a Mom, a musician and singer and loves to be out in nature or traveling to experience new places. She looks forward to meeting you and being a part of your journey to optimal well-being! 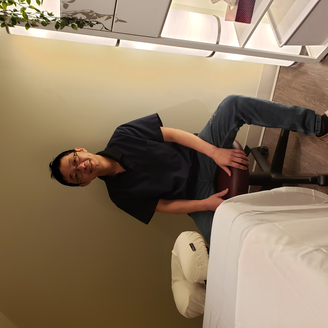 Having graduated with honors from the Canadian College of Massage & Hydrotherapy and registered with College of Massage Therapy of Ontario since 2006, Richard started his career as a registered massage therapist in a well-established clinic. He gained excellent experience in a broad range of dysfunctions including shoulder problems, sciatic nerve issues, headaches, muscle stiffness, movement restrictions and stress-related issues. Richard is focused on effectively reducing everyday aches and pains, headaches, sprains, strains and sports related injuries. He uses myofascial release techniques, deep tissue therapy and joint mobilizations to achieve results in his treatments and he also believes that a good massage treatment is the "healing are with a loving heart." 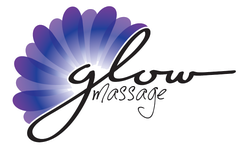 Gloria is a licensed massage therapist, registered with the College of Massage Therapists of Ontario since April 2009. She attended Elmcrest College where she completed her Massage Therapy Diploma in Swedish Massage. Gloria has taken some post graduate courses in Shiatsu and Thai Hot Stem Massage and incorporates some of those techniques in her treatments. Gloria is also a level 2 Reiki Practitioner and enjoys incorporating this type of therapy in her treatments when requested. She is eager to add more modalities in the future as she has many interests in other complimenting therapies. Gloria has always understood the value of healthy touch and how important it is to our overall well being. She strives to help bring your body into a state of healing and awareness. She focuses on how your body is reacting to treatment and modifies within your comfort level. Throughout the past 9 years, Gloria has had experience with pre and post natal massage, myofascial release, trigger point therapy and other soft tissue injuries. Gloria has watched and helped some of her clients with persistent pain syndromes get better and return to their regular lifestyles. She finds so much joy when her clients return to function. Gloria believes that the path to wellness is not always with one therapy and encourages her clients to find the modalities that work well for that individual. She works well with complimenting other therapies to ensure progress for her clients. She always looks forward to meeting new people and helping you along your way to health and happiness! It is good to feel good.